Workaholic Karen Grace is fired after attending her mother’s funeral in her Midwestern hometown. Now Karen is fifteen hundred miles from home, just one more middle-aged worker out of a job in a tough economy. To make matters worse, her husband recently left her for his pregnant girlfriend. At a crossroads, Karen must find the courage to change her life. Needing time to think, she agrees to take an elderly neighbor on one last road trip, but on a deserted highway in Wyoming, Karen is forced to make a lethal and life-changing decision. It is hard to believe that someone can be fired for attending their mother’s funeral and taking care of final details but it happens and it happens way too often. Thankfully Karen is a strong woman and confident in her skills. Losing her job gave her a huge wake-up call. Life was passing her by and she was just letting happen. Her marriage fell apart and her mother passed away. How many other things did she miss while she buried in work and at her boss’s beck and call? She was a caring person but she forgot to care about herself and her family. It does take courage to move on and courage to take some time for yourself and help someone you barely even know. Frieda was quite a woman and truthfully she reminded me a bit of my mother. There are things woman over 80 can get away with. Frieda at 90 was a woman with a mission and just because her best friend had died wasn’t going to stop her from getting where she wanted to go. I love the way she just kept at Karen until she got her way. The trip was short and did have a few challenges and a scare but both women grew on this journey. This story really touched me personally. As many of you know I am paralyzed on my right side and several years ago there was an added complication where the doctor told me to live each day like it could be my last. Thankfully I am still here and there is still time. Unfortunately I am unable to take off the way Karen does in this story but she sure has given some hope and ideas. There is a group of ladies in this story I wish I could join. Maybe someday. This book won the 2013 Next Generation Indie Book Finalist Award for Women’s Issues. It was well deserved. 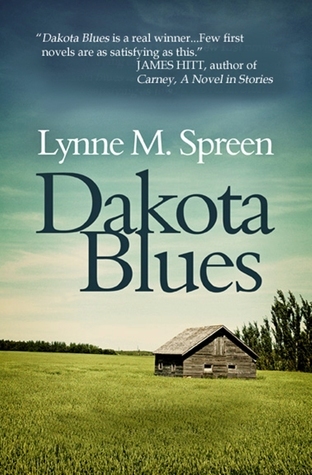 I can’t believe this was Lynne Spreen’s debut novel. She has written a wonderful story. I enjoyed the German references, several immigrants ended up here in Wisconsin, including my ancestors. She also gave me a different picture in my mind of North Dakota. I was inspired by the book and think you will be too!! To Find out more about Lynne visit her blog here. Thanks. This sound like another one to put on my list.